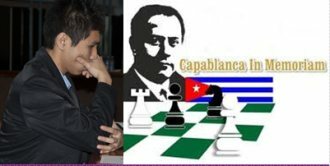 The 49th edition of the Capablanca Memorial Tournament 2014 is underway and is being played on 8-18th May at the Habana Riviera Hotel in La Havana, Cuba. The event is organized by the Cuban Chess Federation and the Instituto Nacional de Deportes Educación Física y Recreación (INDER). The Elite Group is a Category 19 with a rating average of 2721, and is a 6-player double round-robin tournament, composed of five(5) former Capablanca Memorial Champions and Wesley So a first timer in this prestigious tournament. 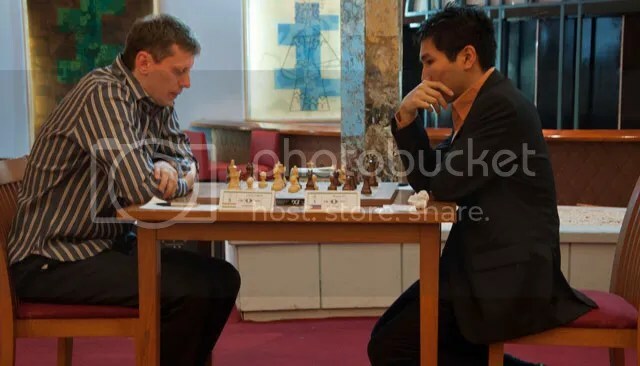 After 5 rounds of play, at halfway mark, of the 10-round double round-robin event @ 49th Capablanca Memorial(2014), GM Wesley So (PHI)2731 snatched the sole lead scoring 3.5/5 (+2-0=3) by beating his perennial co-leader since R3 the defending champion GM Almasi, Zoltan (HUN)2693 who resigned after the 48th move of a French Defense: Winawer. Poisoned Pawn Variation Main Line (C18). The other previous round-4 leader, top seed Domínguez Perez, Leinier (CUB)2768 made a quick 13-mover draw [Ruy Lopez, Closed (C92)] with his compatriot Bruzon Batista, Lazaro(CUB)2682 to score 3.0/5(+1-0=4). The game between Ivanchuk, Vassily (UKR)2753 and Vallejo Pons, Francisco (ESP)2700 was won by Vallejo Pons when Ivanchuk conceded defeat (his second in five matches) in the 53rd move of a Giuoco Piano (C53). With R5 win, GM Wesley So … Live rating of 2740.2, now ranks #19 in the Live Chess Ratings of the Top chess players in the world. @ http://2700chess.com. Additionally, it is the 2nd Personal Best/Highest Live Rating recorded by Wesley So. His Personal Best/Highest Live rating was 2740.3 recorded on 17 Jan 2014 @ R5 of Tata Steel Chess 2014. 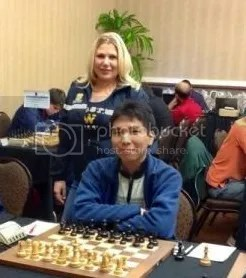 GM Susan Polgar, Wesley So’s coach at Webster U, tweeted “At the half at Capablanca Memorial, Wesley So is +2 & his live rating is 2740+. He’s about 3 pts away from top 15 in the world!”. May 13, 2014 (Havana) is “Rest Day”. R6 scheduled on May 14.